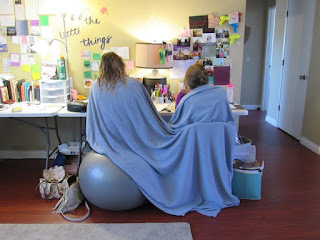 Sister Sowby took this picture of us this morning while we were studying. We don't have tons of time today. also, I’m sitting next to this guy in the library and he is really irritating.... forgive me for being a little un-Christlike. We had president interviews on Tuesday and as we mentioned to president Taylor about how the people we are teaching are doing and we described their progress. he suggested that we prayfully consider dropping people. WHOA!! We were a bit upset because we are teaching so much! However we really trust president Taylor’s counsel. So, not much else happened this week except we tried to visit a lot of potentials and formers because we dropped a few of our investigators and we dropped a ton of less-actives! We have a lot of tracting planned. It's going to be awesome!! We did have a really cool experience on Saturday. Our appointment fell through with our investigator M. Her window shattered because the heat made her window expand........ That was ridiculous!! Anyways so our back up plan was tracting. As we parked our car to begin our quest to find prepared people, a rough looking man approached us and asked us if we needed help because he thought we were lost. We ended up talking to him for about 45 minutes! This guy was so cool! He asked us where our church was and said he wanted to come. To our surprise (because it's so hard getting people to come to church) he showed up like he said he would! 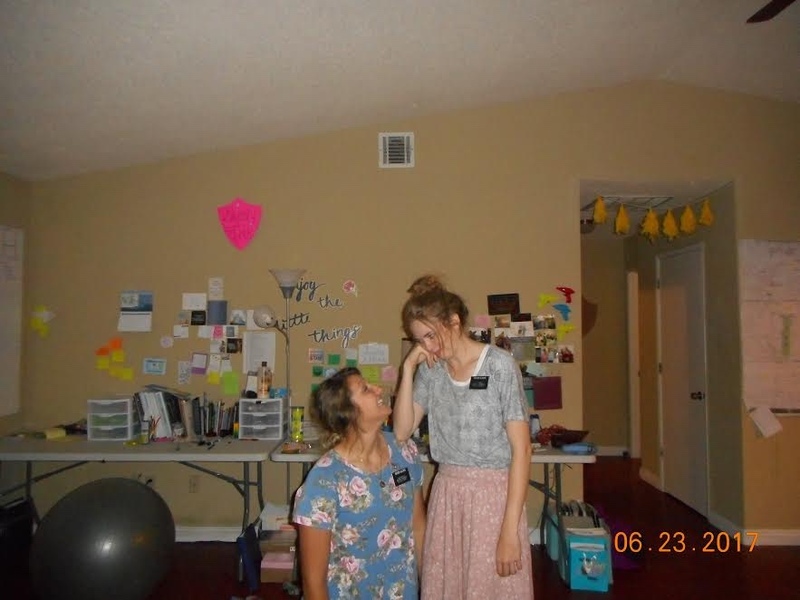 He had never talked to missionaries before and definitely hasn't been to an LDS church. He stayed for 2 hours. It was awesome! We will start teaching him this week. He even mentioned that he wants his 3-year-old son to have a religious foundation. He ran into just the right sisters if that's what he wants😂 We were just mind blown with this guy! OH!! Our 12-year-old investigator, L, went to girl’s camp last week!!! whe loved it so much. The young women leaders are amazed with her. She bore her testimony at camp! AND... she bore her testimony yesterday at church!!! 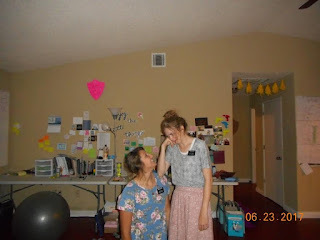 My goodness sister Clarke and I were very proud missionaries. I may have mentioned this to you already but keep her and her dad in your prayers! L really wants to be baptized but her dad won't let her. Which is fine! we need to respect her dad. But they need the gospel so much and we can only imagine how much it would help them. Okay that's so cool you are reading Preach My Gospel with Preston!!!!!!!!!!!!!! My favorite chapters are chapters 1,6 and 10. Also chapter 5 might be really good to go over because it's all about the Book of Mormon and its holy greatness!!!! I am obsessed with preach my gospel! Sometimes on really hard days I would just like to curl up and study the Book of Mormon and preach my gospel all day long!! Anyways, thank you mom for helping Preston! I used to stress over him because I just want so badly for him to be really prepared to be a missionary. but in his email to me he told me how he has learned more from you in 2 weeks than he has in 4 years of seminary!! WOW THANK YOU!!!!!! It truly makes me the happiest, proudest sister. I love him so much! God be with you till we meet again. The church is true and the book is blue! Elder David A. Bednar, "I witness that the Savior knows and is mindful of each of us one by one and name by name."